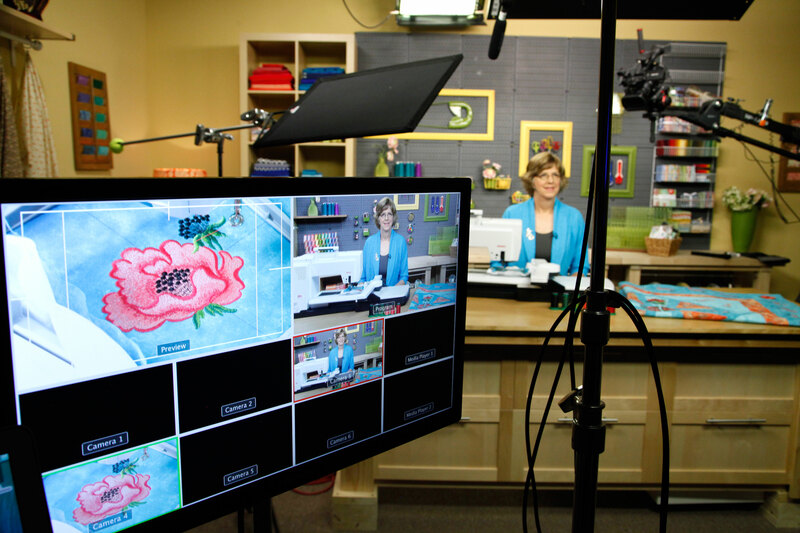 This past April, Craftsy contacted me and asked if I would be interested in taping a class on machine embroidery and quilting. After working on the class much of the summer, I travelled to Denver in September for three days of taping. What a great experience! I learned so much. I really found the production process fascinating! And now, the class is ready to go live later this month. I made the quilt up in three different colorways, so you can see how the choice of fabric and threads affect the look of the piece. As always in my classes, I squeeze in as many tips as I can to make your sewing easier and more precise. Wait til you learn my newest uses for some very common – and inexpensive – products! 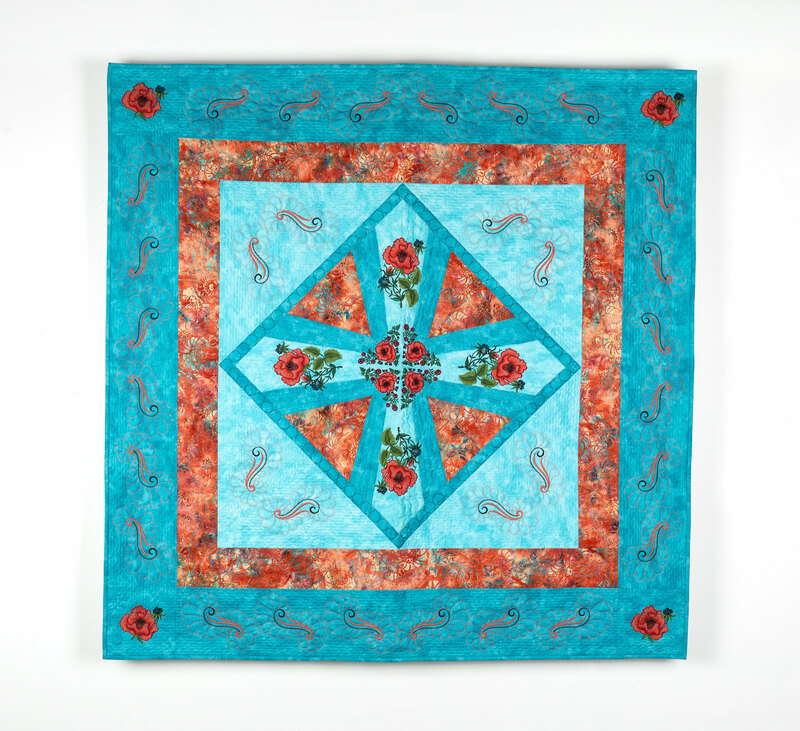 So enter today and don’t miss your chance to win The Machine Embroidery Inspired Quilt class! 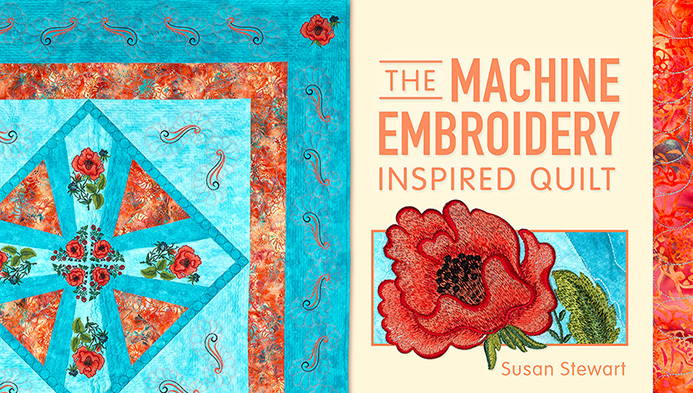 This entry was posted in Uncategorized and tagged Craftsy, Machine Embroidery, Quilts by susanstewartdesigns. Bookmark the permalink. I am really looking forward to this class, might be an early Christmas present. If I don’t win I am so going to buy this class. I loved the classes you taught at Martha Pullen’s Schools and we always had so much fun in your class. We laughed so hard in the one that you taught with Phillip Pepper. I can’t wait to see what this one is like. Thank you for doing this. I have been blessed to have taken classes with Sue! You are the be’s teacher-patient and instructive! Would love to win the class, but even if I don’t I will still do the class,I have been checking Craftsy every day since the beginning of November to see if your class is up yet. I am so looking forward to start watching and stitching out my designs. You know I even bought an embroidery module for my Bernina 750 as my Janome did not stitch out big enough designs and I wanted to do some of the big flowers that you say you have used from Zundt. So exciting. WooHoo! 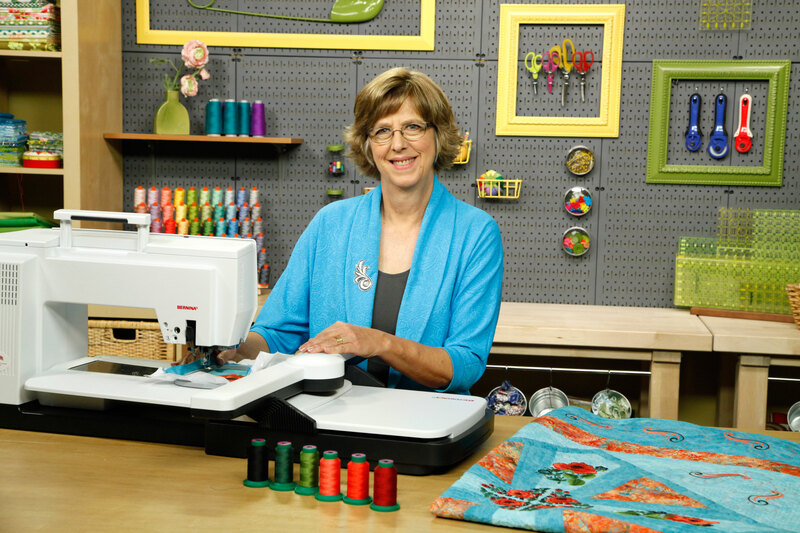 I’d love to win the class…your quilting and Craftsy…what a great partnership! I’ve added your blog to my Feedly list and I also get your newsletter by email. Needless to say I just really,really like this quilt! 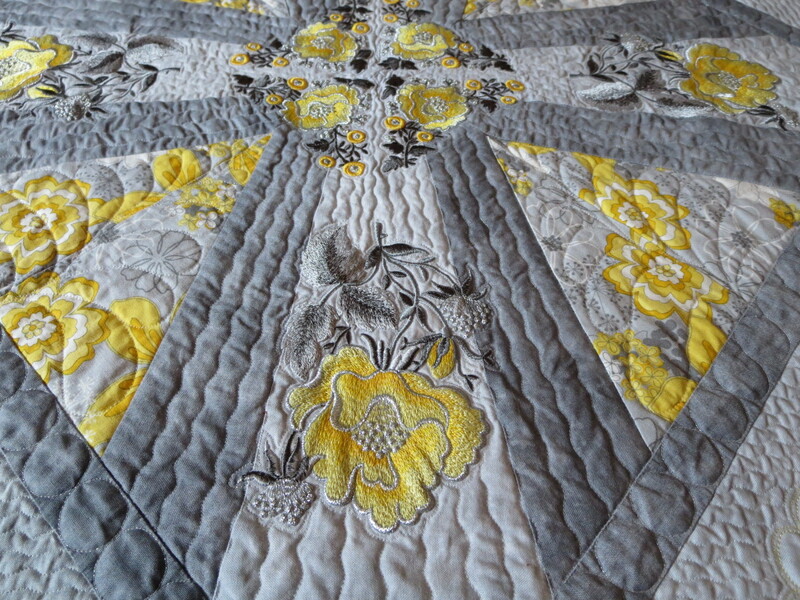 I do not have a lot of quilting experience but from what I read I feel sure I can do it! Also I think I will really benefit from your tips as well as your many uses for inexpensive products. 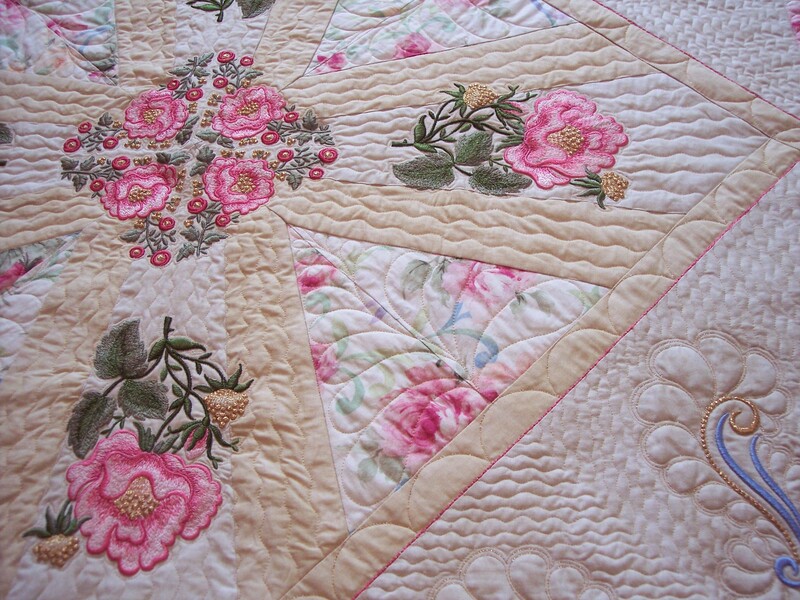 This Quilt is so beautiful and I and my family would cherish it for many years!